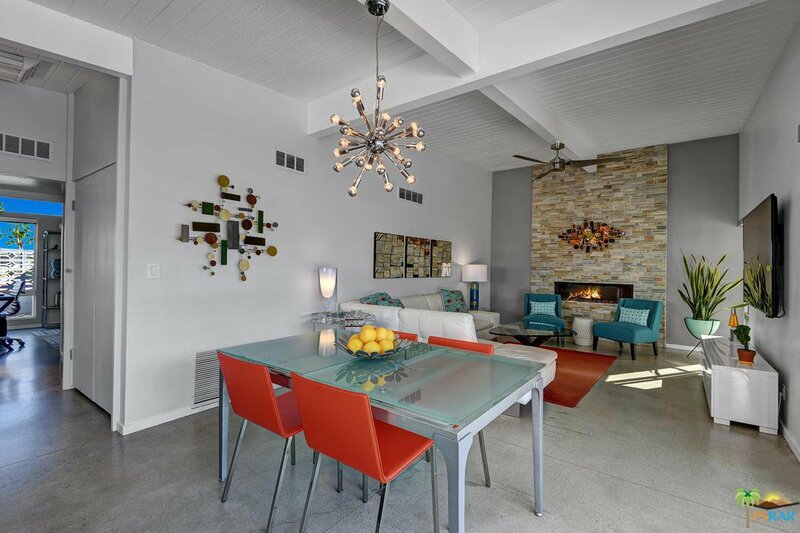 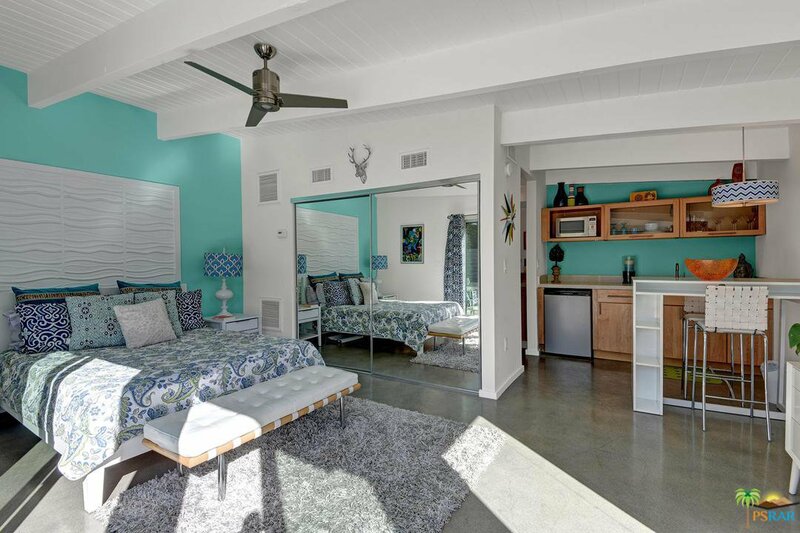 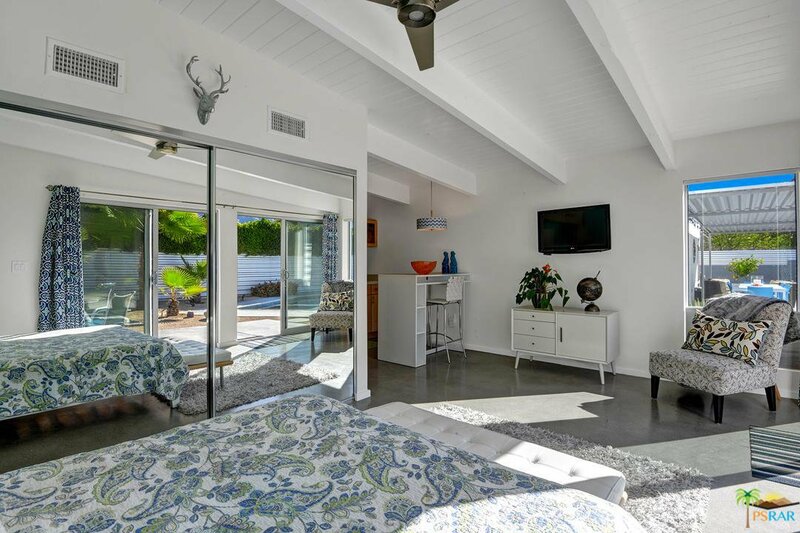 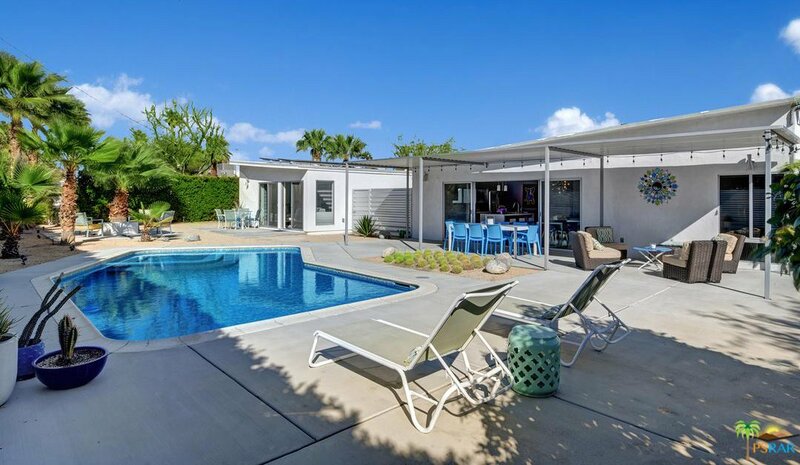 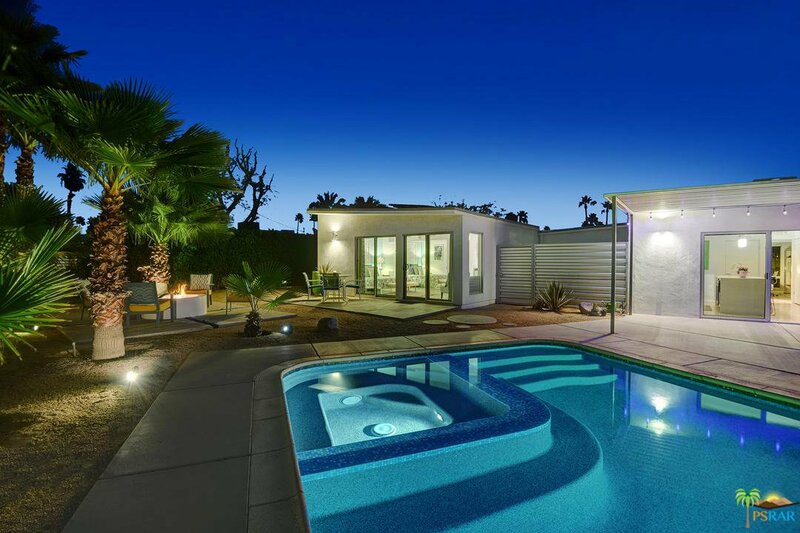 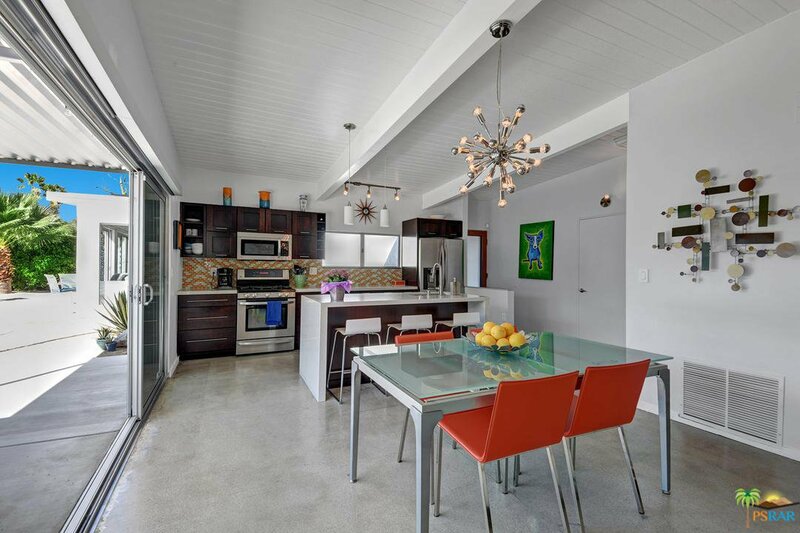 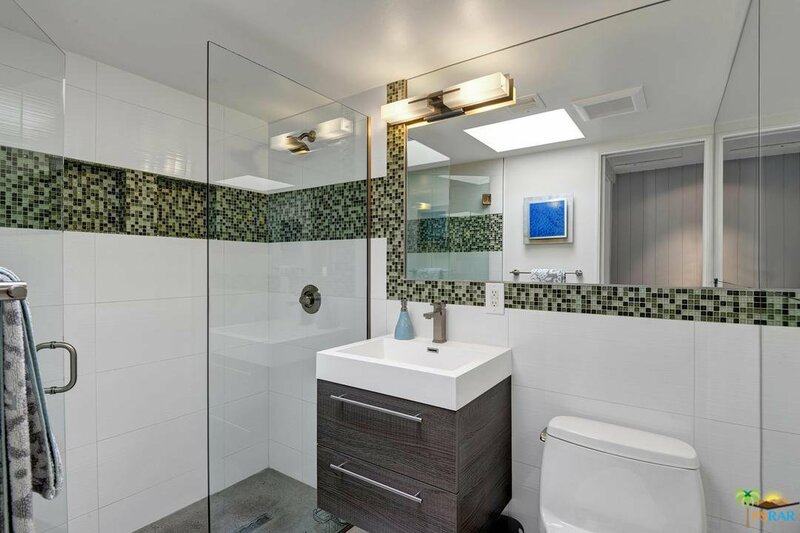 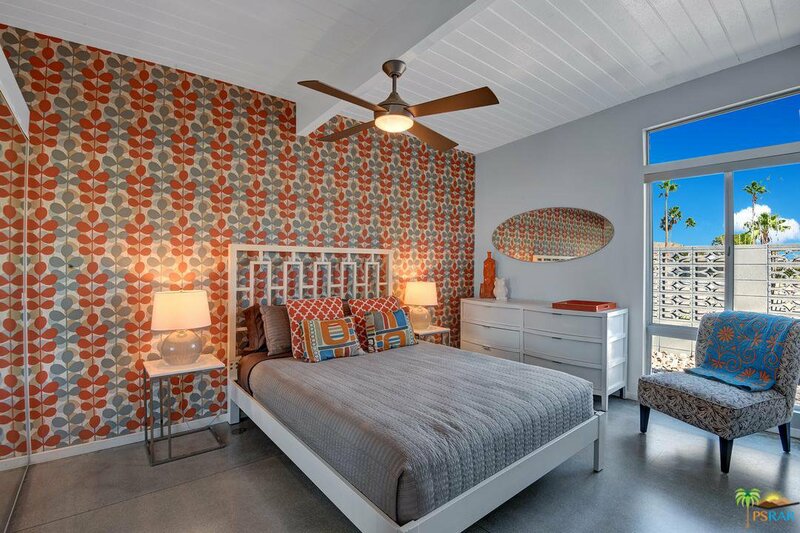 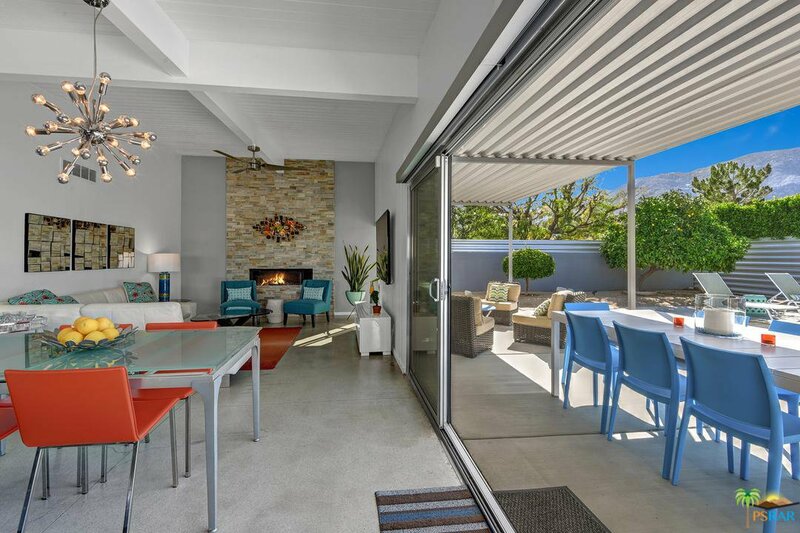 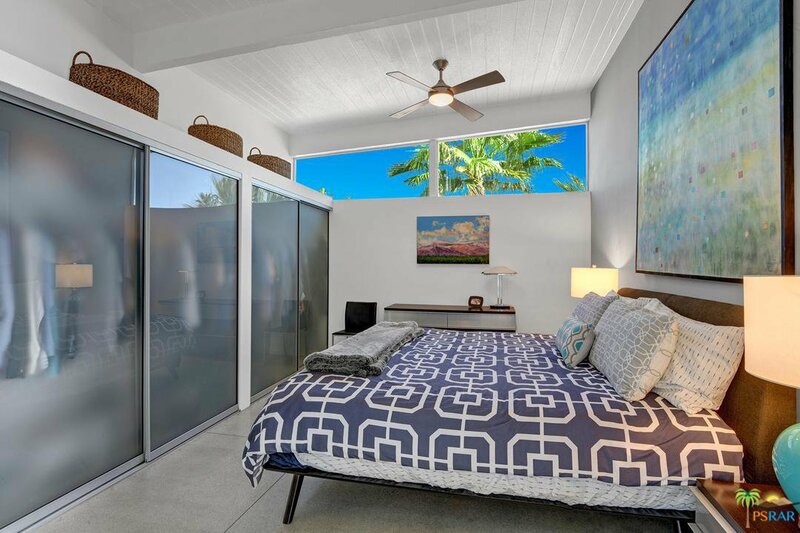 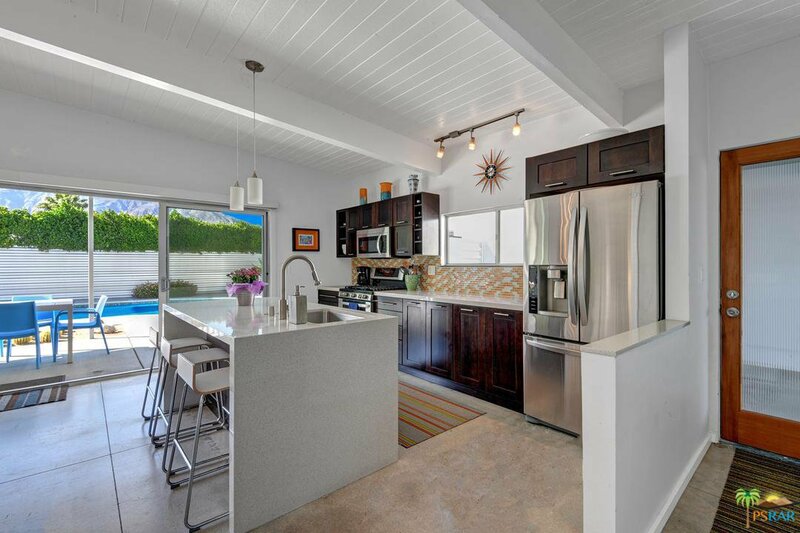 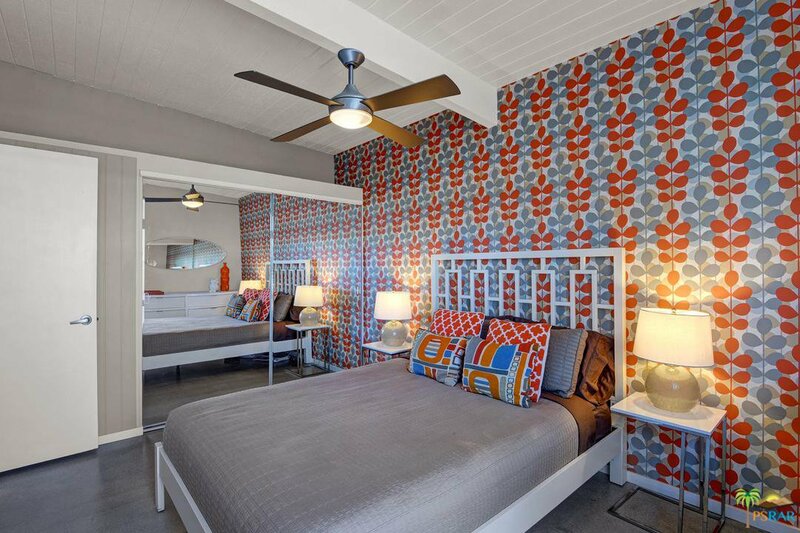 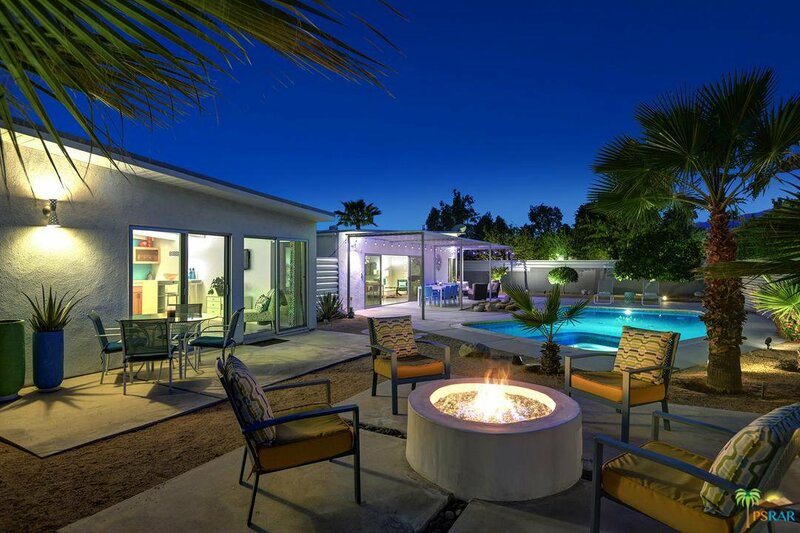 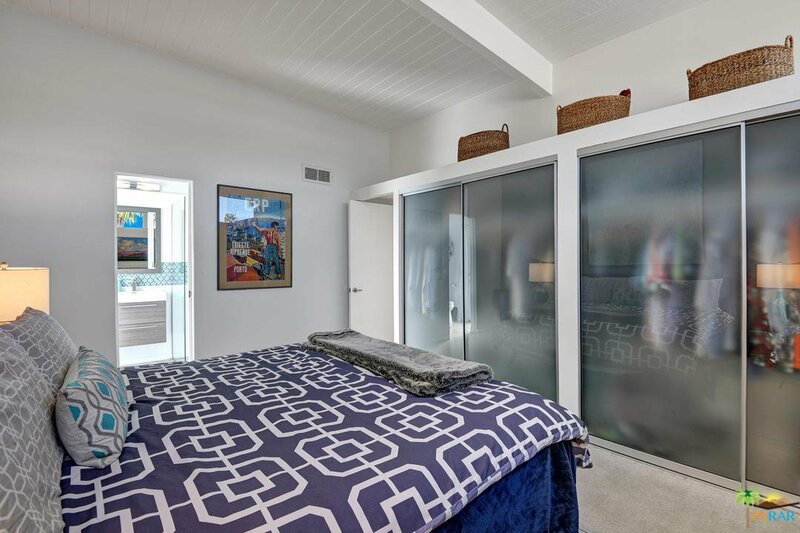 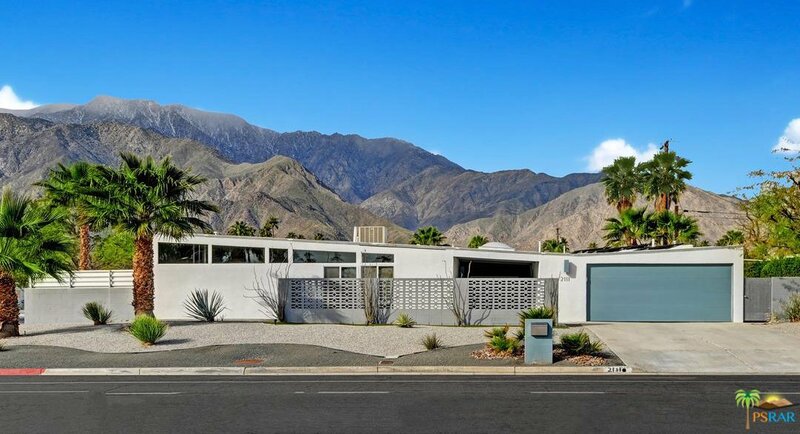 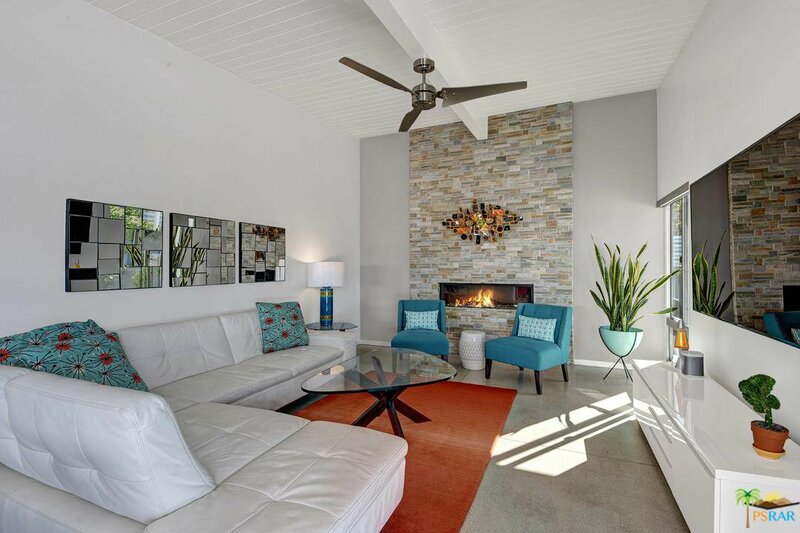 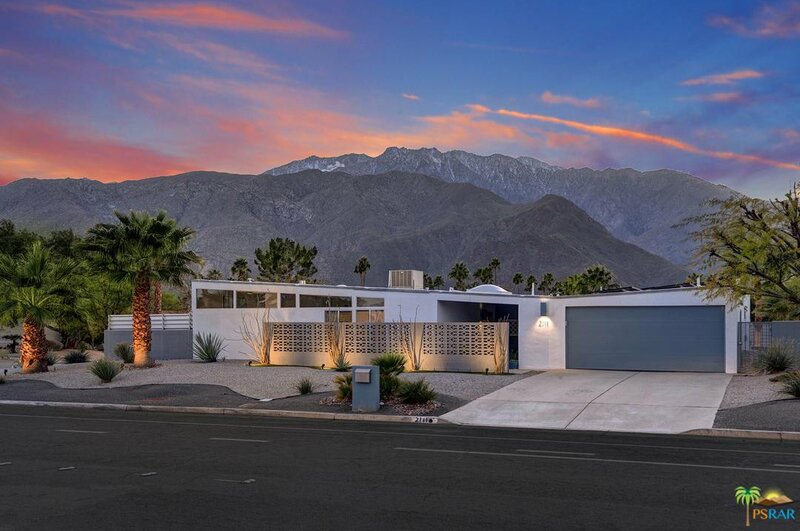 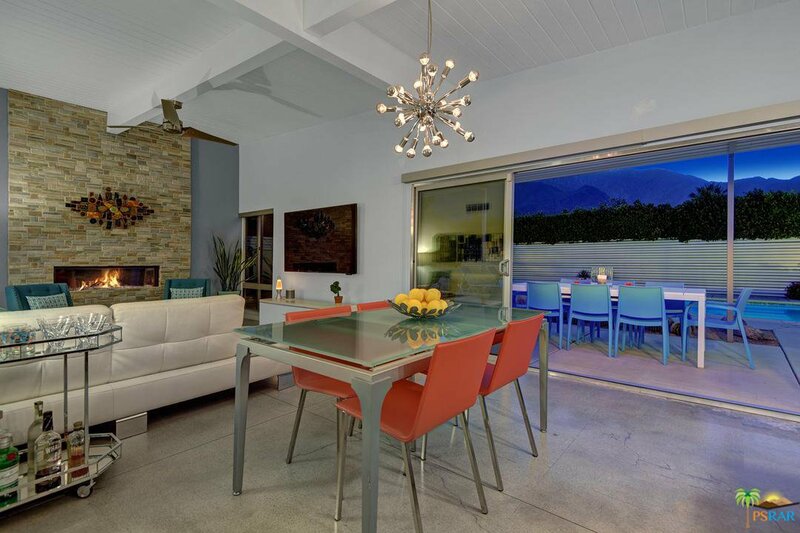 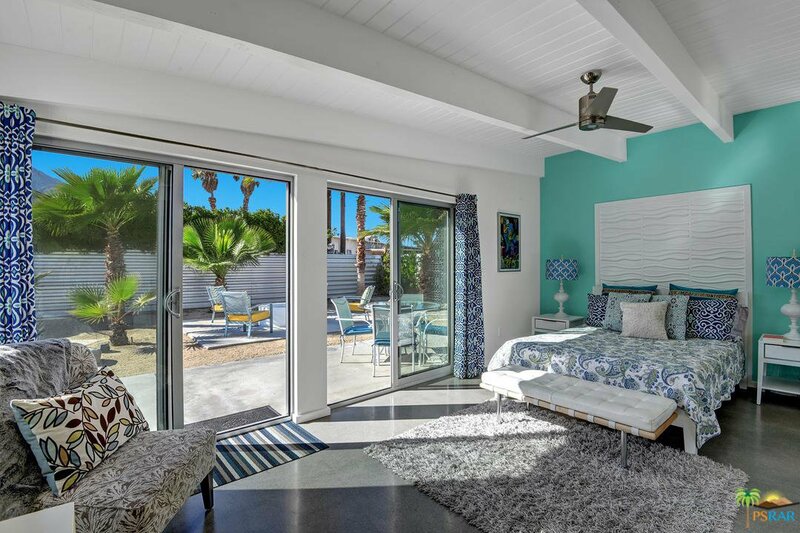 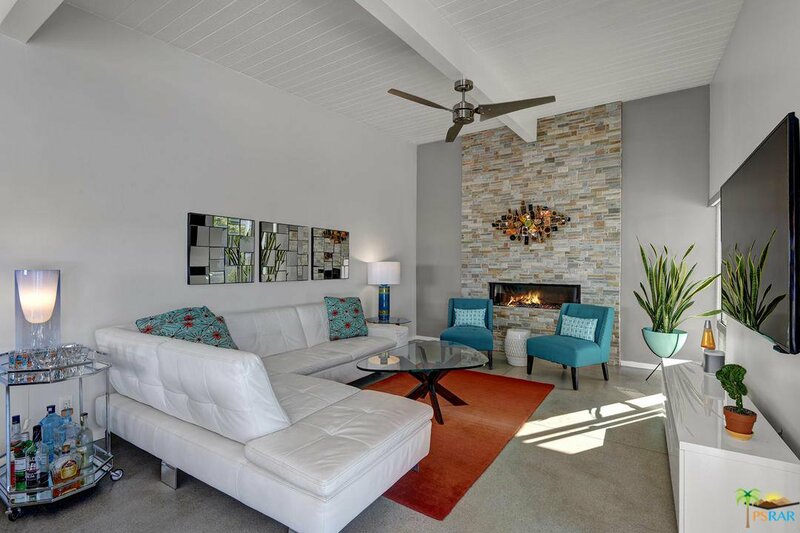 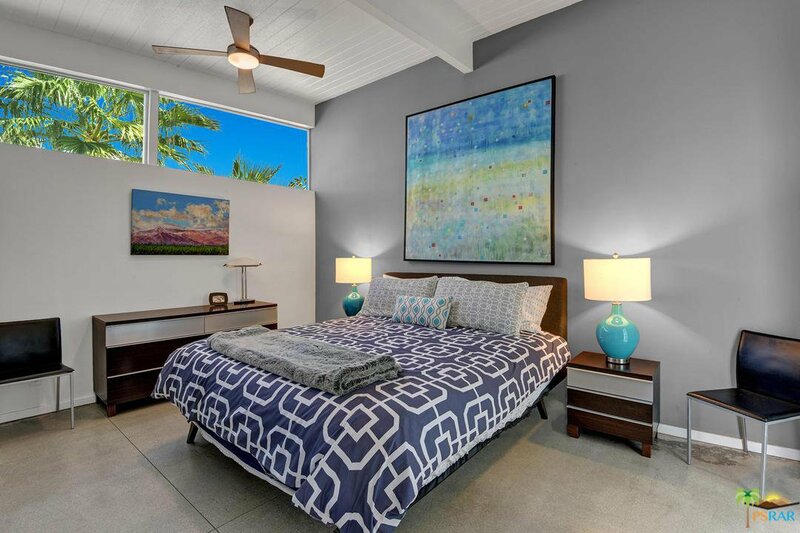 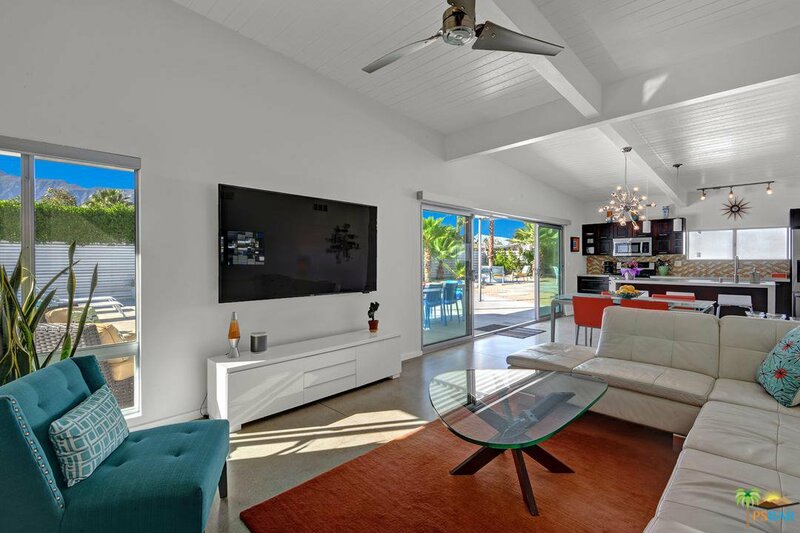 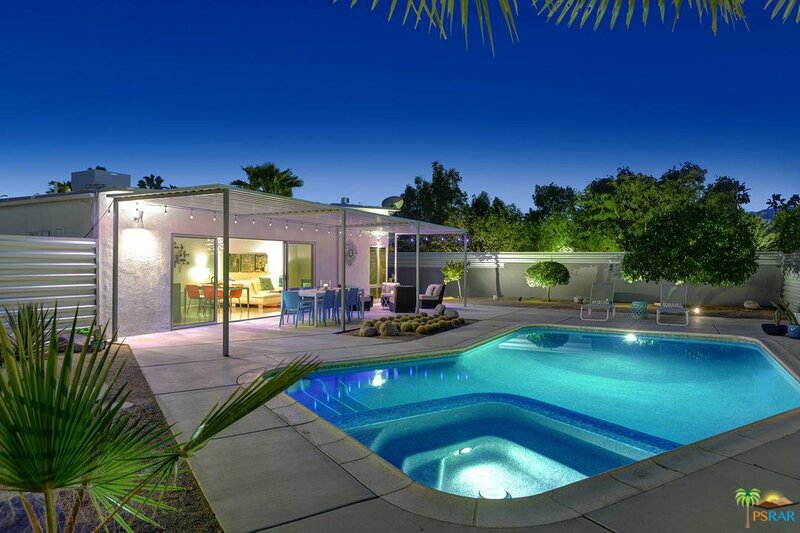 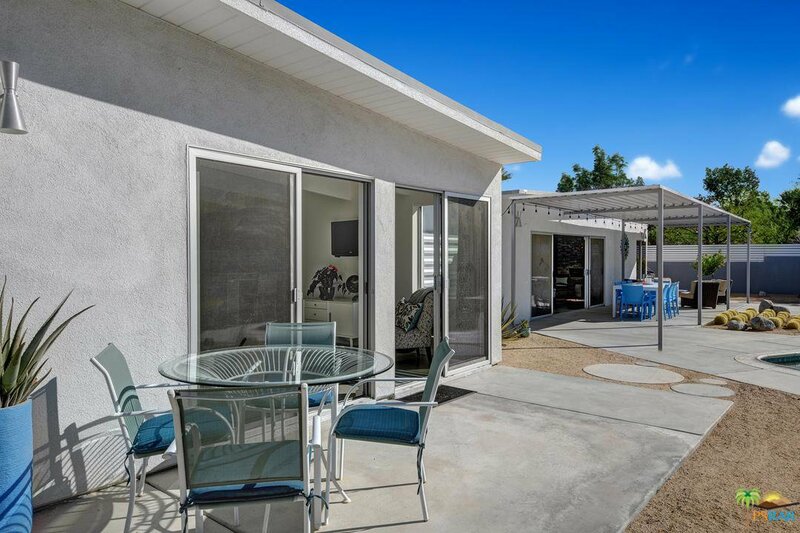 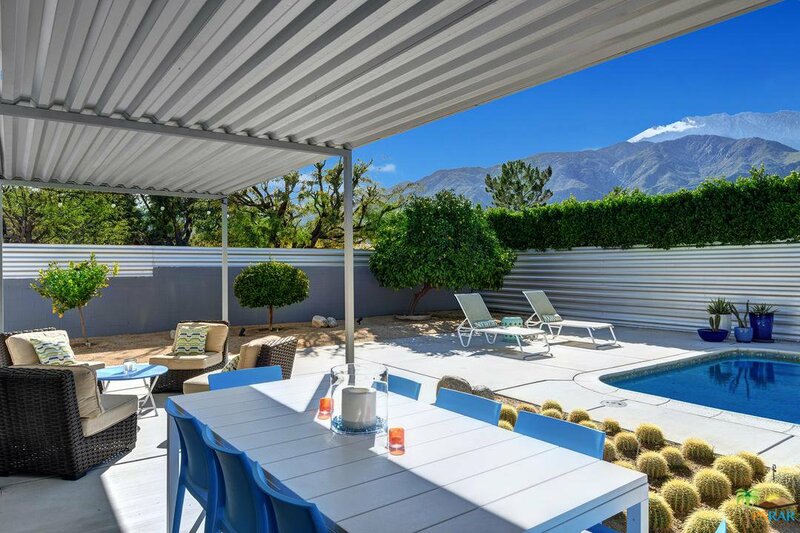 Mid-century modernists will fall in love with this home designed by William Krisel, for the Alexander Construction Company, featuring the iconic "butterfly" roof line. 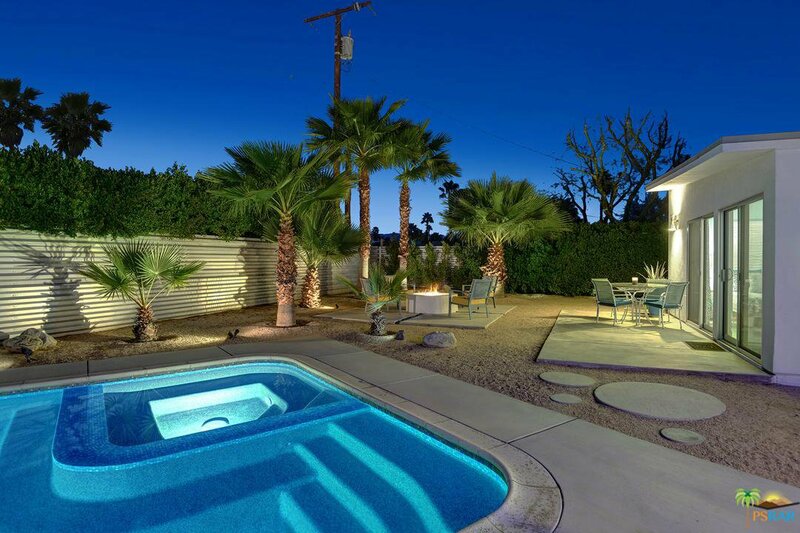 Located in the historic neighborhood of Racquet Club Estates, this classic home has been meticulously updated, while maintaining the charm and architectural design qualities of its original design. 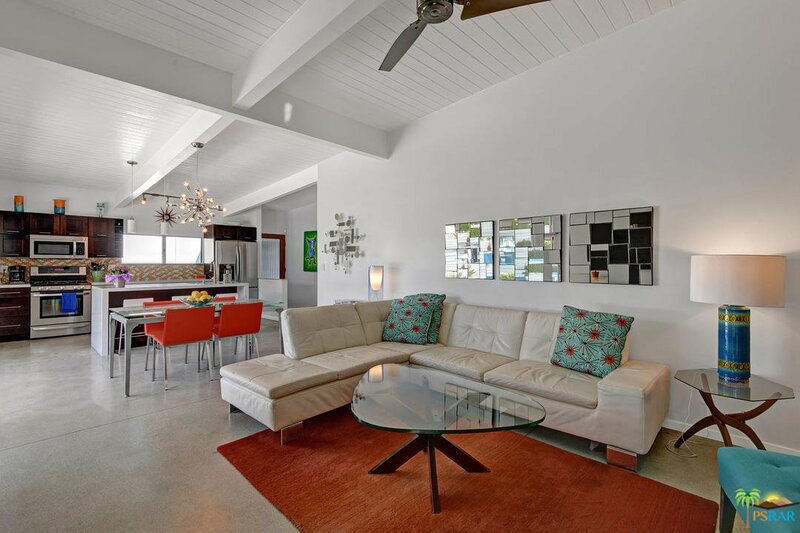 The main home is your classic 1225 footprint. 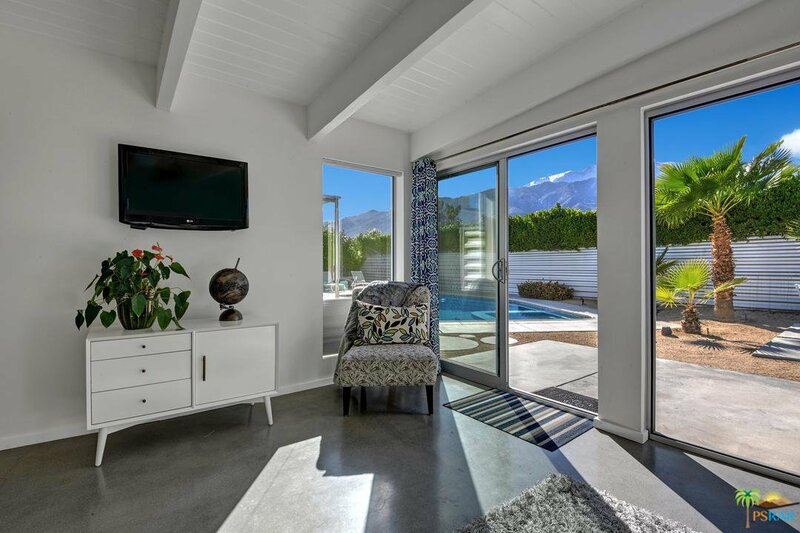 Modern and tasteful, value is found at every turn, from the custom built fireplace, to the collapsing slider doors creating a seamless flow between inside and outside. 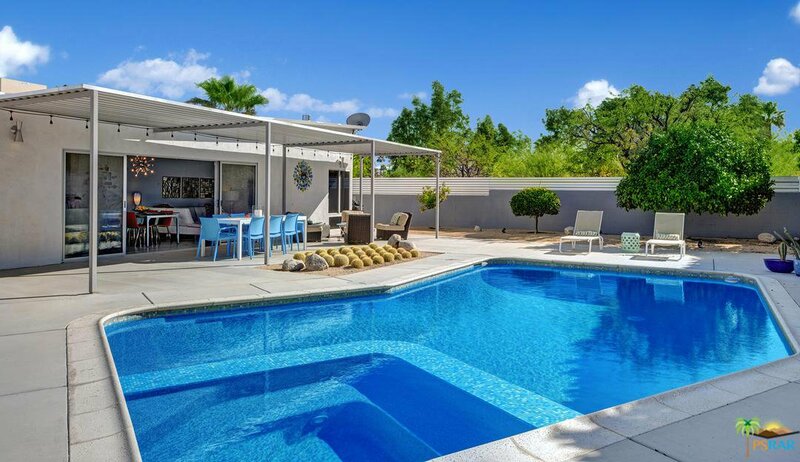 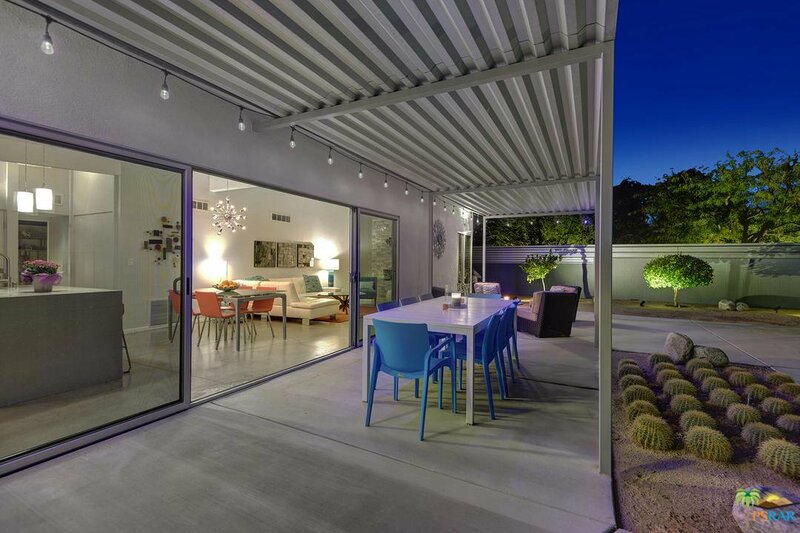 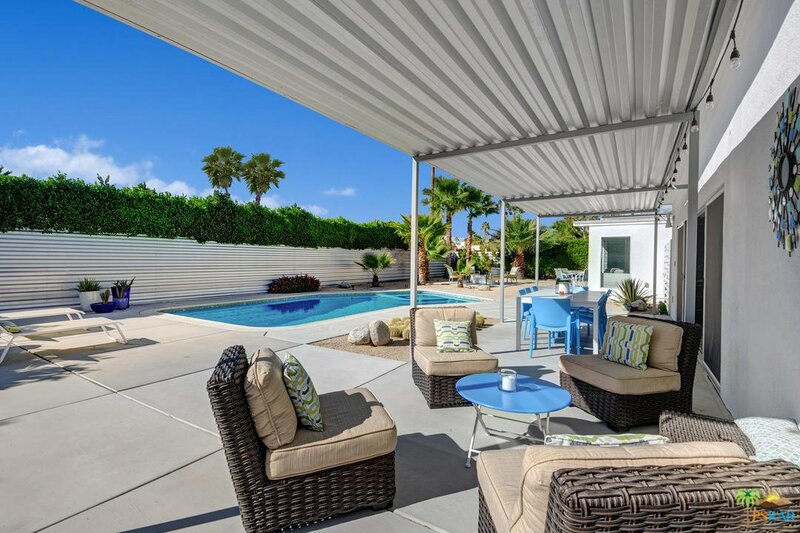 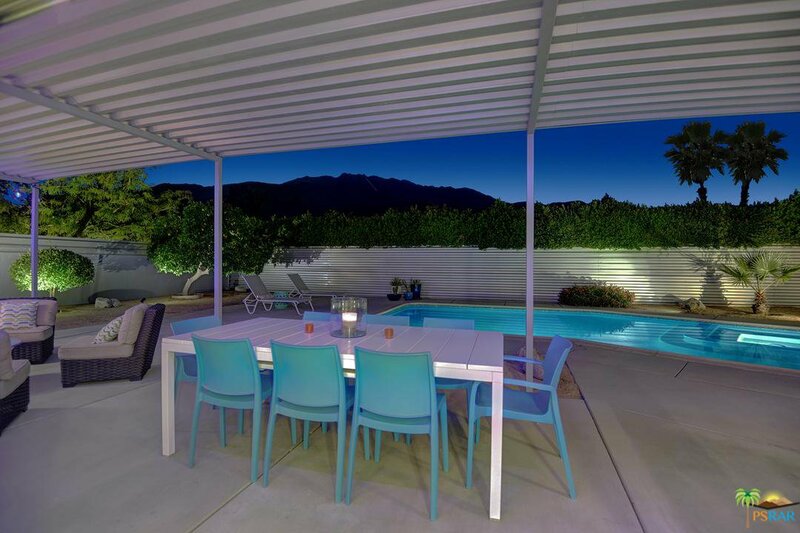 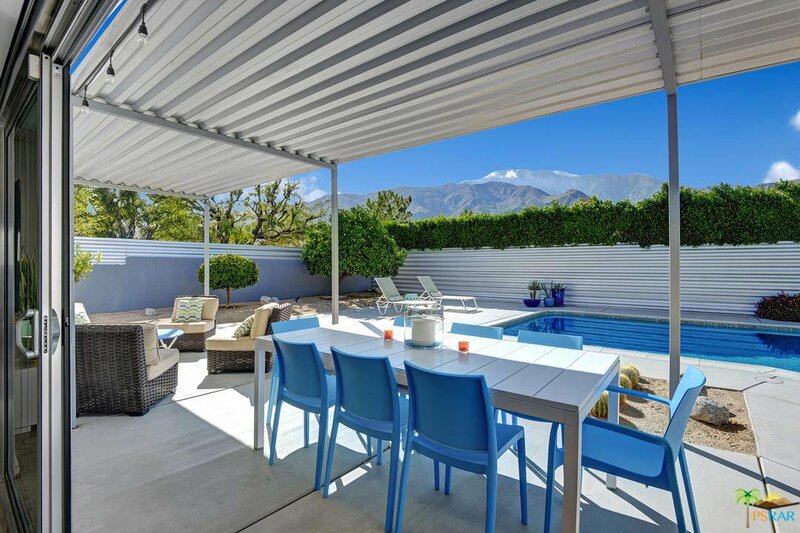 Built to take advantage of the big west facing mountain views, modern shade structures provide for comfy dining and lounging areas for outdoor entertaining. 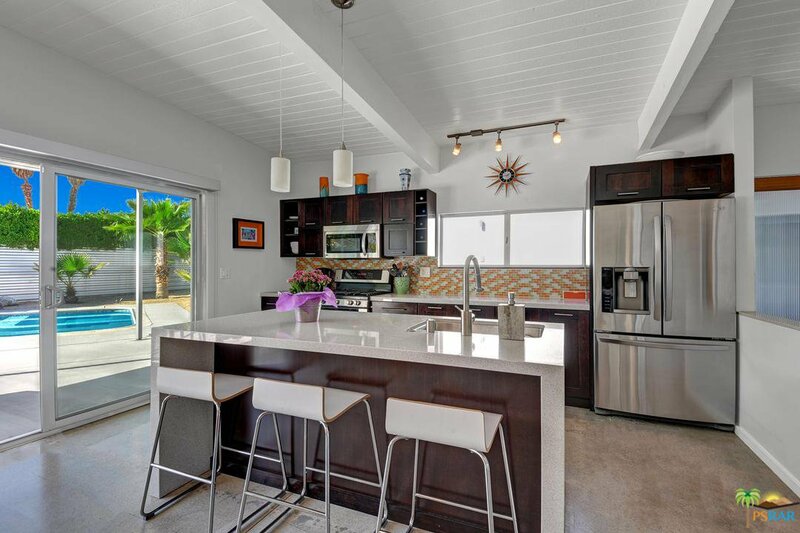 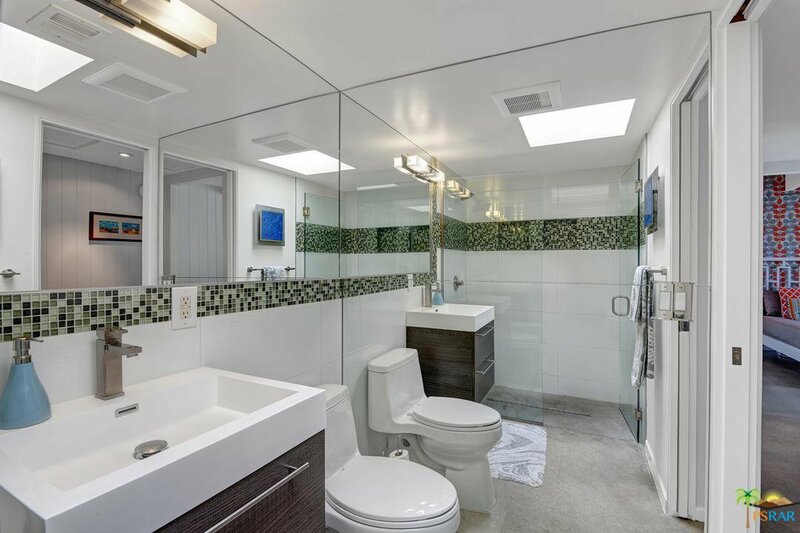 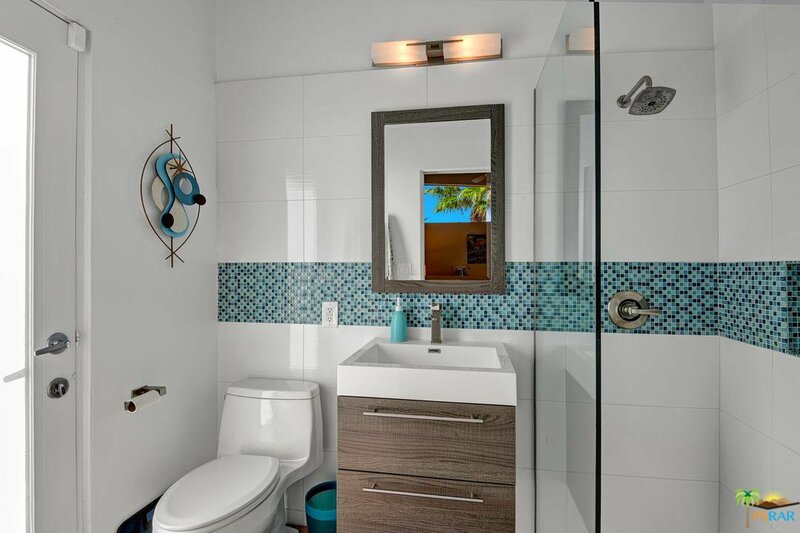 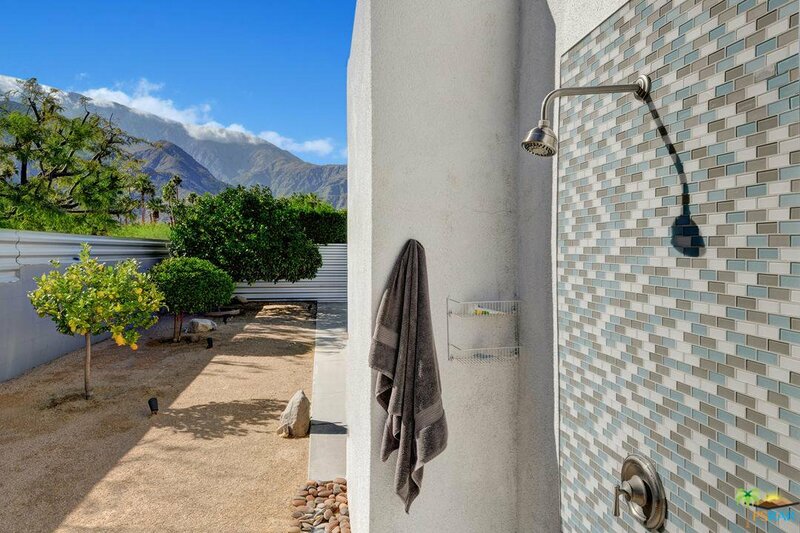 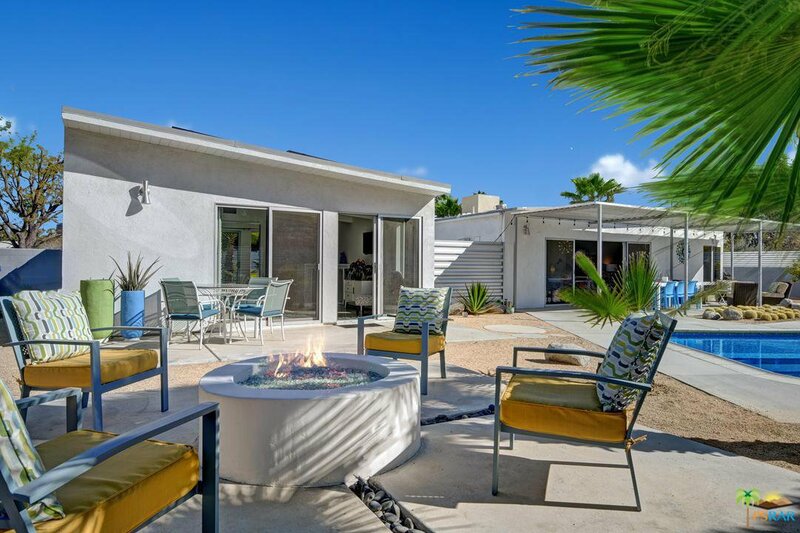 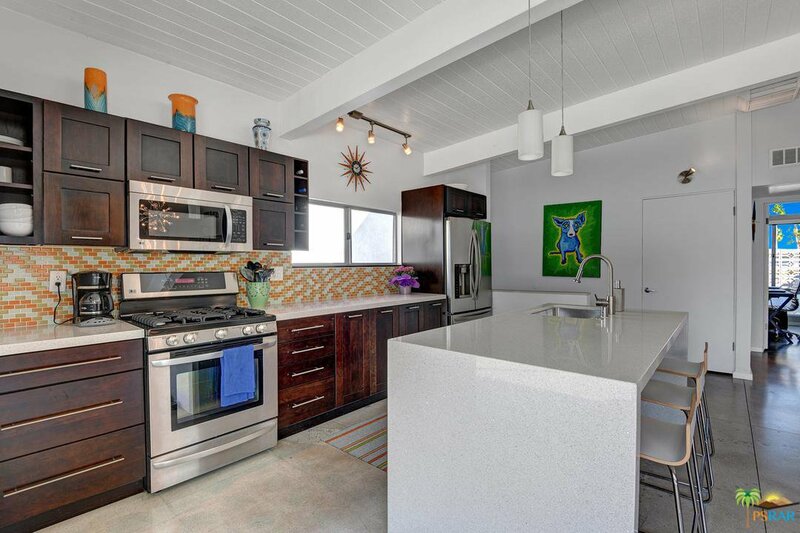 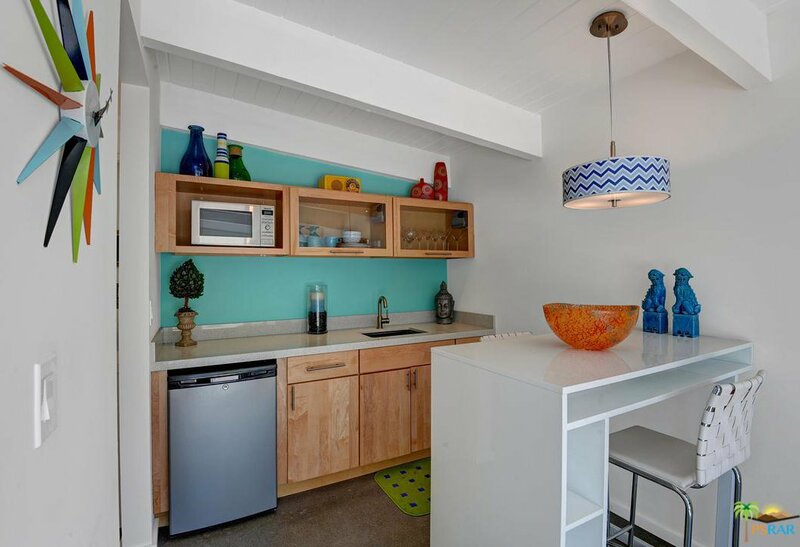 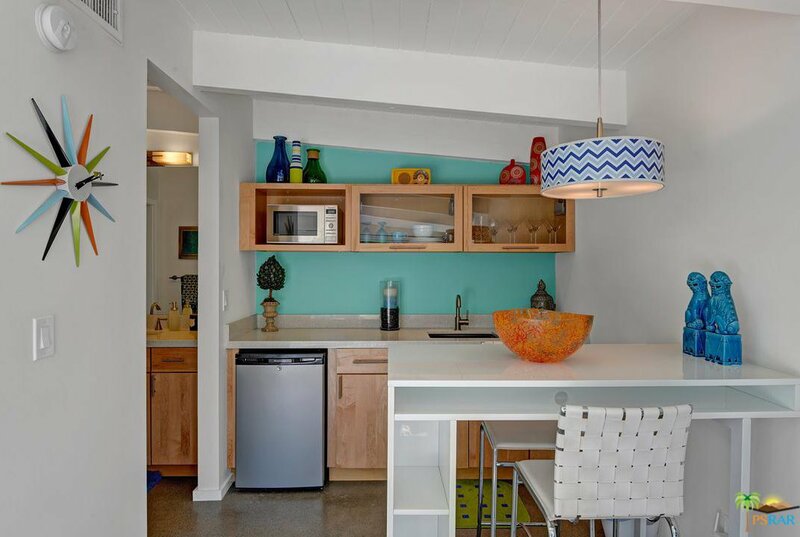 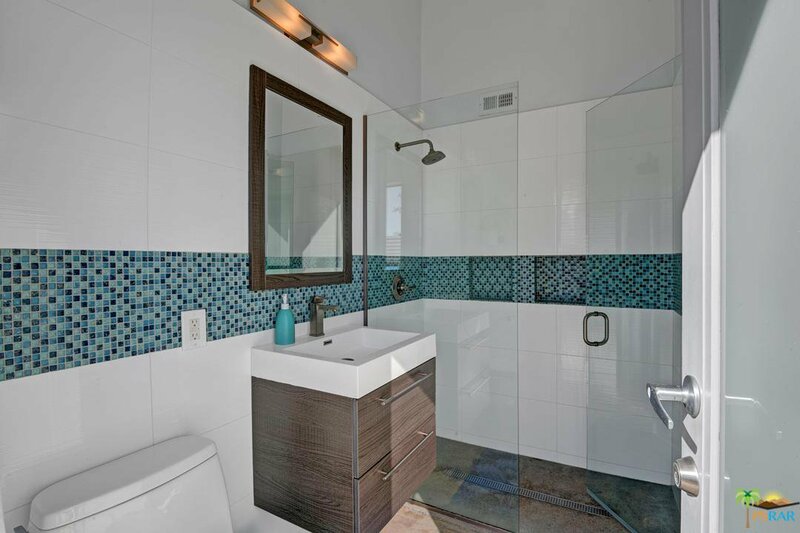 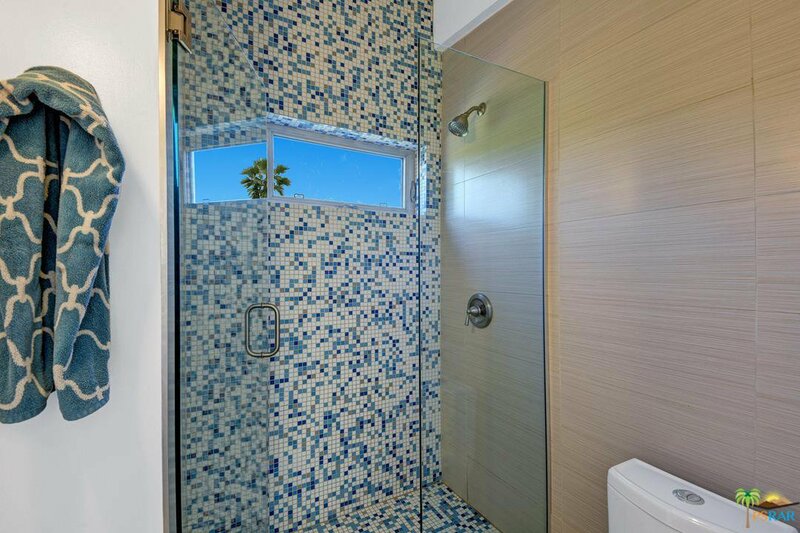 The uniqueness of this property increases as you explore 400 square-foot Casita with kitchenette, cleverly designed to follow in line with the classic roofline. 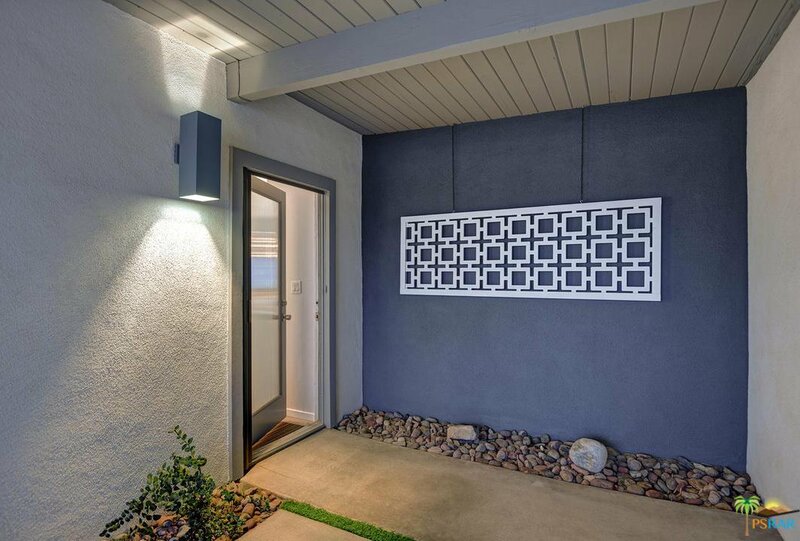 Per seller home is 1625 sqft, tax record shows 1709 sqft. 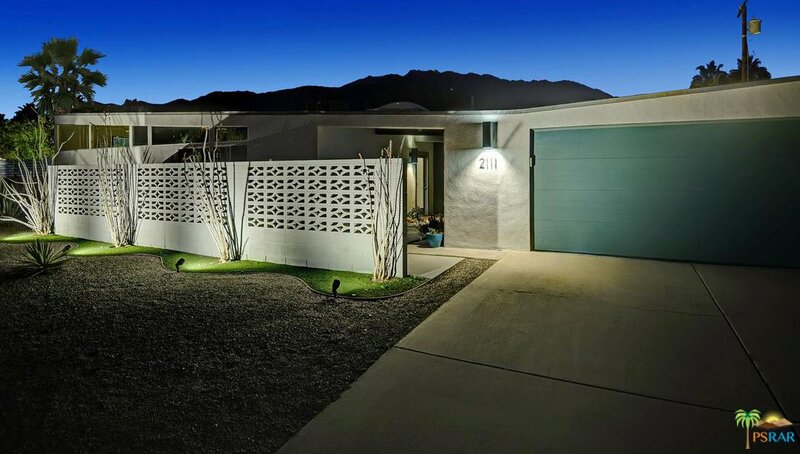 Home has owned solar, No Electric bill. 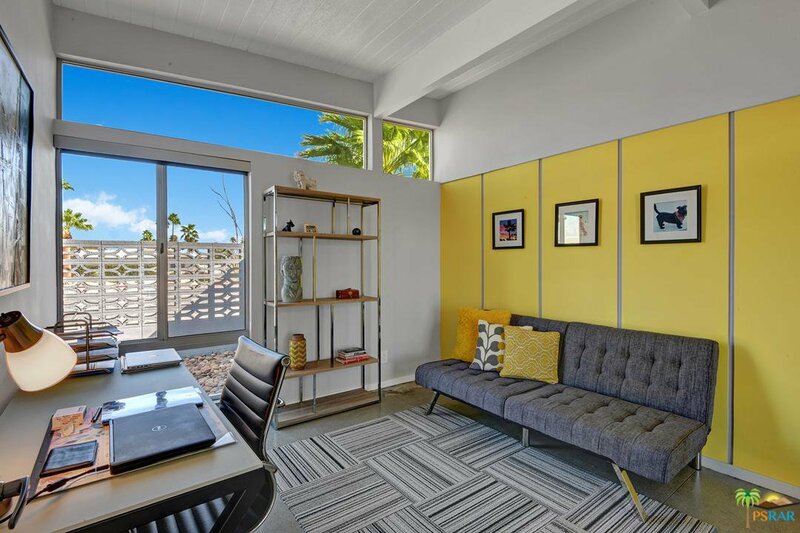 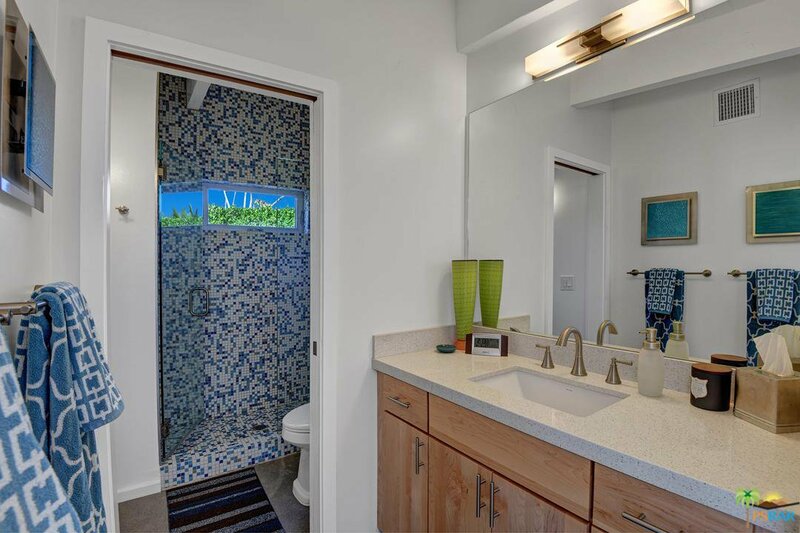 Courtesy of The Paul Kaplan Group Inc, Team Michael Slate - CA DRE#01930656 Selling Office: The Paul Kaplan Group Inc.